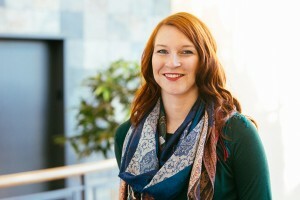 S. M. Wilson, Author at S. M. Wilson & Co. S. M. Wilson, Author at S. M. Wilson & Co.
St. Louis, Mo., February 5, 2019 – S. M. Wilson & Co., has rehired Mary Anderson as a Project Engineer and former S. M. Wilson Interns Travis Schmitt, Chris Watkins as Field Engineers as well as Emily Echele as Project Engineer. 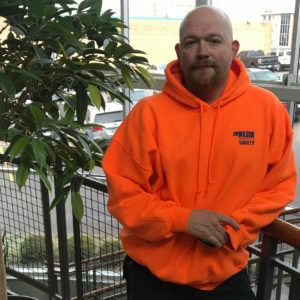 S. M. Wilson recently teamed up with Great Central Lumber who donated $2,500 of materials to Jennings Senior High School & College Prep Academy’s construction program with an additional $5,000 donation from #SMWill. 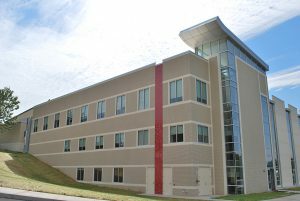 The Jennings Build, Design, Construction, and Advanced Manufacturing Program is part of the school’s Career Prep Academy which helps ensure students are college or career ready after high school graduation. 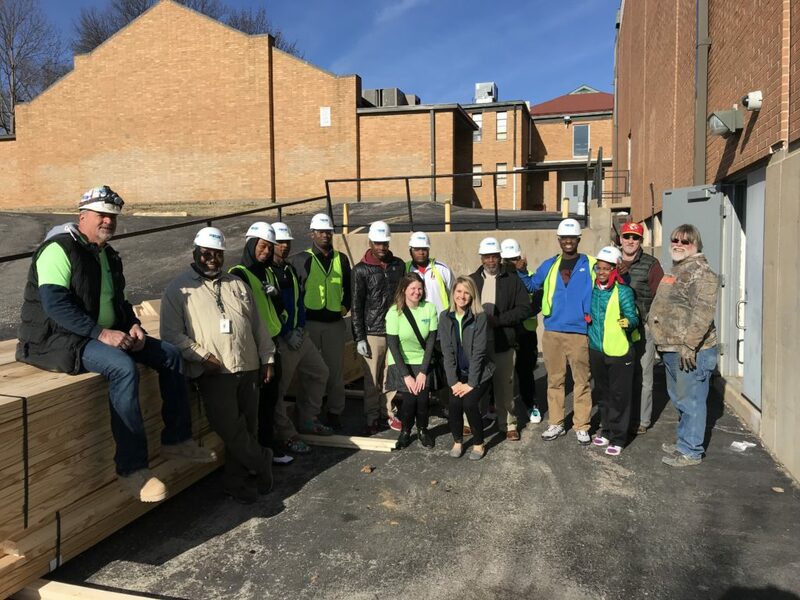 Through a partnership with The Carpenters Regional Council of St. Louis and Kansas City, the classes provide students with hands-on learning opportunities and skills needed to be successful in the construction and manufacturing industries. #SMWill spearheaded the donation after learning about the program and their shortage of supplies. When S. M. Wilson reached out to Great Central Lumber, they generously donated a portion of the materials in need, including cedar and ESLP boards, an assortment of screws, shelving materials and more. 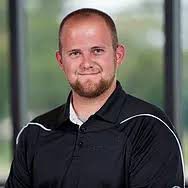 In turn, #SMWill also contributed an additional $2,500 of materials as well as a $2,500 donation to the Friends of Jennings School District Foundation which awards scholarships to graduating seniors to the students’ college or university of choice. S. M. Wilson’s charitable giving program, #SMWill, is dedicated to encouraging employees in their will to serve, commit and invest in our community through partnering with organizations focused on supporting the health and education of children. S. M. Wilson makes every effort to enrich our Community and the communities we work in around the country. 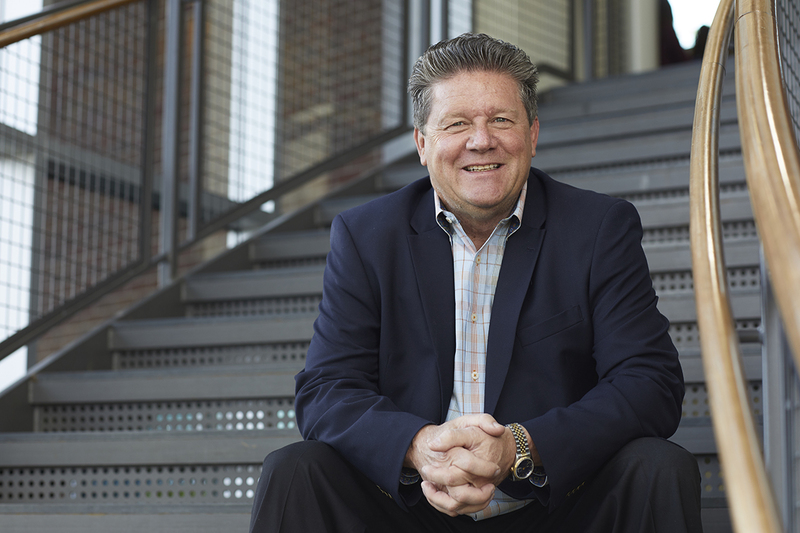 In an effort to streamline S. M. Wilson’s corporate giving funds and provide more opportunities for employees to support charitable organizations they are passionate about, S. M. Wilson has created SMWill (#SMWill). #SMWill is a three-pronged program that encourages employees in their WILL to Serve, Commit and Invest in the communities we build, live and work in. 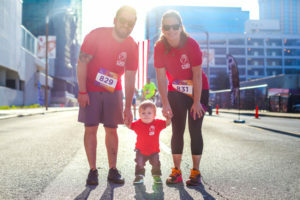 The new corporate philanthropic structure provides employees with a paid day off for volunteer service, company donation match for individuals and a formalized foundation-like fund to “invest in our community through partnering with organizations focused on supporting the health and education of children”. 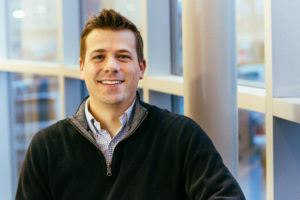 The program was spearheaded by S. M. Wilson’s Giving Committee after identifying a need to organize the Company’s charitable giving process and promote employee’s volunteer efforts. Since 1921, S. M. Wilson has continuously supported local nonprofits and community programs. The creation of #SMWill will serve as the new philanthropic arm of the Company, focusing efforts on funding the donations and sponsorships of 501(c)(3) organizations whose mission that align with our desire to support the health and education of children. 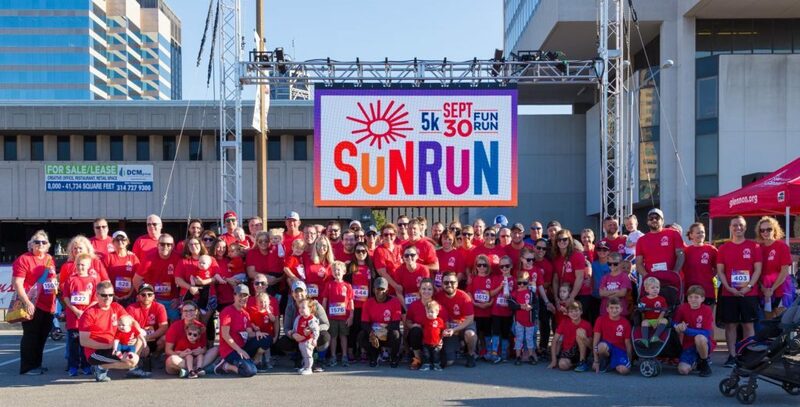 First Introduced in August 2018, #SMWill was fully launched in January 2019 and has already supported monetary donations and volunteer hours to organizations such as Ready Readers, Cardinal Glennon Sun Run and Aim High. To learn more about the program, visit smwilson.com/SMWill. S. M. Wilson has been a staple in the St. Louis area since 1921. 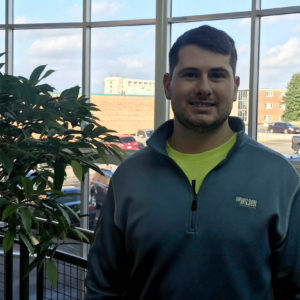 In 2001 the company moved its corporate headquarters from Granite City, IL to the City of St. Louis and 2018 has marked another monumental year for the construction manager. Construction projects have included the well-known IKEA store, Central Institute for the Deaf, Big Brothers Big Sisters headquarters on Grand, the Target store on Hampton, The Orion mixed-use development in the Central West End and Habitat for Humanity headquarters and ReStore. Construction has also included multiple healthcare projects such as Shriners Hospitals for Children-St. Louis, Washington University’s Medical Center Campus Renewal, BJC Institute of Health at Washington University School of Medicine and clinics for Family Care Health Centers. Beyond the Build, S. M. Wilson is committed to promoting neighborhood growth and stabilization in the community. Acting as a true partner with the City, we are proud of our $1.5 Billion accomplishment and the impact our projects have had on St. Louis. To learn more about our history, visit smwilson.com. St. Louis, Mo., October 23, 2018 – S. M. Wilson & Co., President, Amy Berg, has been named to the Federal Reserve Bank of St. Louis’ Industry Council and the Wyman Center Board of Trustees. 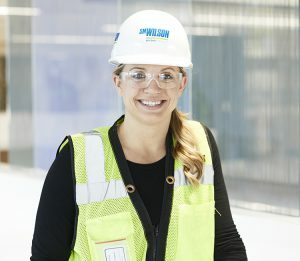 St. Louis, Mo., August 1, 2018 – S. M. Wilson & Co’s IT Manager, Jamie Berzon, was honored in Constructech magazine’s annual Women in Construction List for 2018. S. M. Wilson recently joined volunteers with Clean Sweep 2018 at the Penrose and Kingsway East neighborhoods to bring new life to areas in the city challenged with condemned homes and overgrown lots. 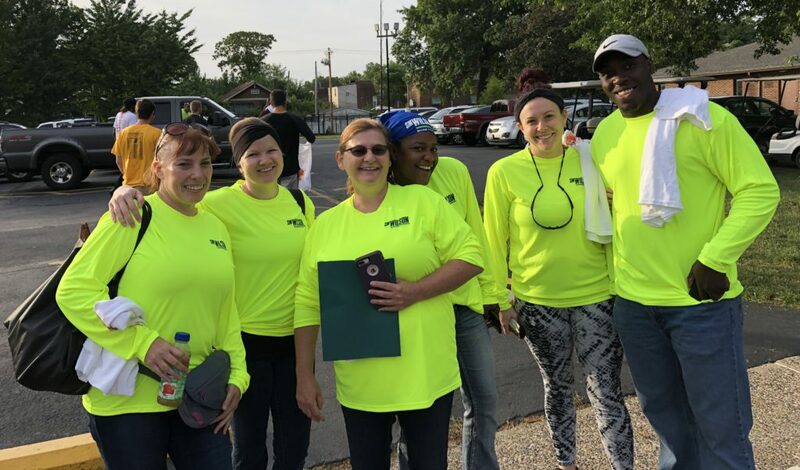 Launched by Better Family Life in 2017, Clean Sweep is a neighborhood clean-up initiative that brings together local residents, volunteers from throughout the region, City of St. Louis departments and area construction companies to help revitalize certain parts of the city and St. Louis County. As a staple in the St. Louis metropolitan area since 1921, S. M. Wilson makes every effort to enrich our community and the communities we work in around the country. 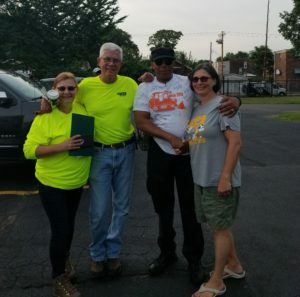 On July 28, a group of 20 Wilsonites and their families came out to support the program, helping to knock down vacant buildings and pick up trash and large debris. The program hopes to provide inner-city residents with an annual event that ignites and maintains momentum for neighborhood revitalization and engages a broad base of volunteers who promote real regional unity. The clean-up events take place over four Saturdays throughout the summer. So far, the monthly events have demolished 23 structures and cleared over 50 trees helping to revitalize and strengthen neighborhoods. For more information on Clean Sweep 2018, visit betterfamilylife.org. S. M. Wilson has finalized a construction deal for phase 1 of the much anticipated City Foundry STL project. 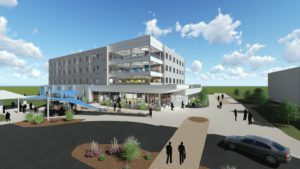 The agreement includes current and future contracts, which will consist of the construction and renovation of six buildings, improvements to the 10-acre site, as well as construction of over 60 tenant spaces. The agreement is expected to exceed $100 million when all packages are released. 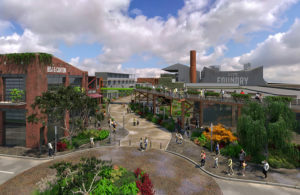 Phase 1 includes transforming 338,000 square feet of the historic foundry building into a food hall, curated retail and entertainment space, and creative offices infused with historic industrial architecture. 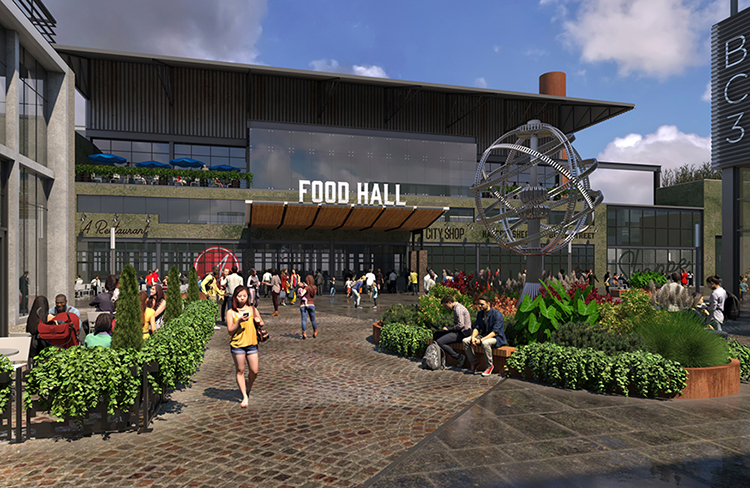 S. M. Wilson and Lawrence Group, a St. Louis-based design, development and project-delivery firm, will begin work this summer. 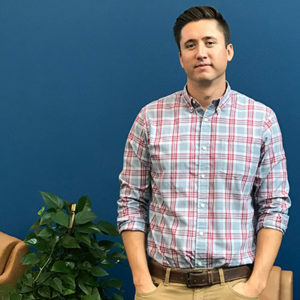 “We are very excited to be a part of the City Foundry STL team and to see all the hard work that the design and construction professionals from Lawrence Group and S. M. Wilson have put in over the last 18 months come to fruition. Steve Smith’s vision will be transformational for the City of St. Louis and the region. We are very proud to be a part of this unique and game changing project.” – Amy Berg, S. M. Wilson President. Click here for more information provided by Lawrence Group regarding this innovative project coming to St. Louis. St. Louis, Mo., June 20, 2018 – S. M. Wilson & Co. has been selected by Ladue Schools to serve as the general contractor of the grandstand and plaza area at Ladue Horton Watkins High School. St. Louis, Mo., June 14, 2018 – S. M. Wilson & Co. has been selected by Westminster College to serve as the construction manager of the new $4 Million Mueller Stadium in Fulton, MO. 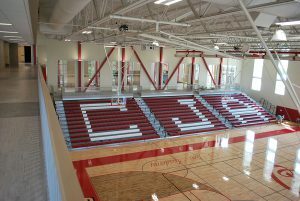 The new athletic stadium is being made possible due to a $4 million gift from Westminster alumnus Kent Mueller and his wife Judy. Construction of the new Mueller Stadium at Priest Field encompasses the stadium structure itself, turf, scoreboard, lights, bleachers, press box, concessions, restrooms, and other facility enhancements. 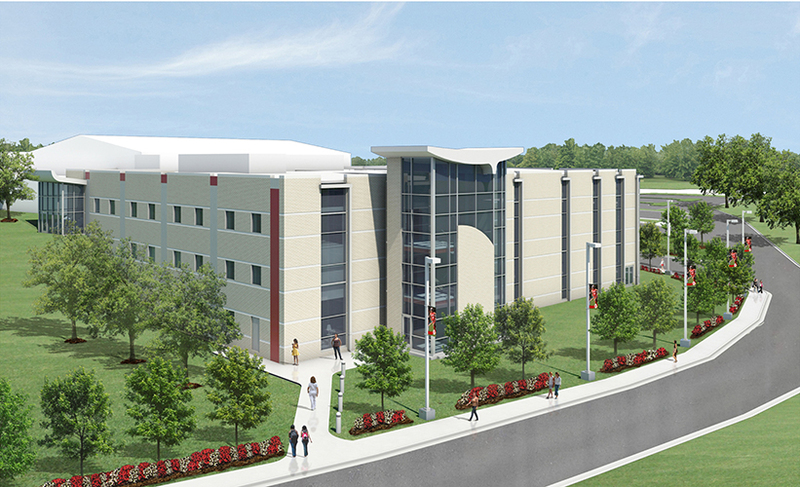 This will be the largest capital improvement project on the Westminster campus in over a decade. St. Louis, Mo., May 23, 2018 – The joint venture of Reinhardt Construction Company and S. M. Wilson & Co. has been selected by Columbia College to serve as the general contractor of an academic and residence hall in Columbia, Missouri. 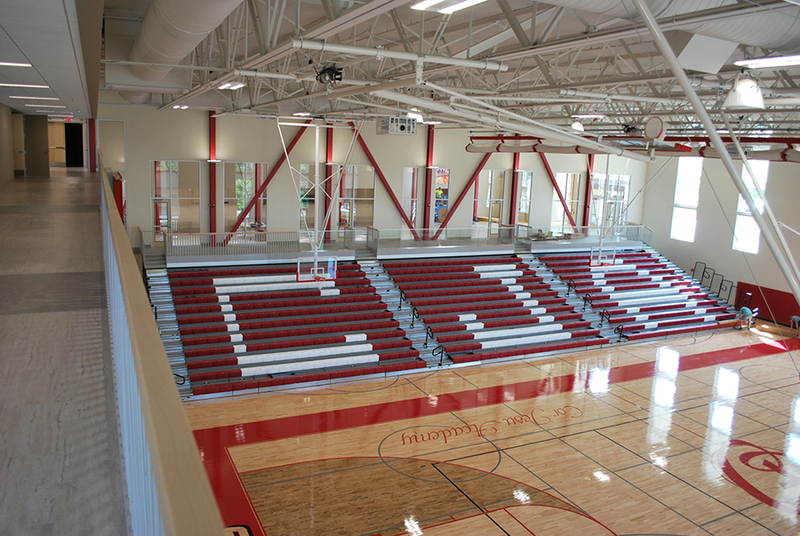 The project includes a new four-story, 61,000-square foot structure to accommodate a growing student body. 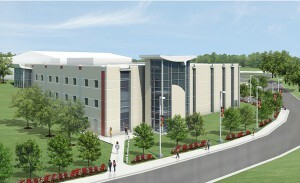 The first floor of building the will house the School of Business offices, six classrooms and a large event center. The second, third and fourth floors will feature additional housing for 150 students. St. Louis, Mo., May 1, 2018 – S. M. Wilson & Co. has completed construction of TruFusion’s newest location, which is now open. 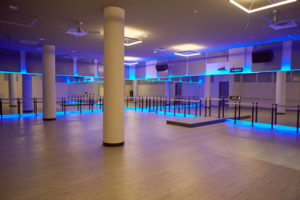 Located in Clayton, the 17,000+ SF venue features space for a unique blend of yoga, cycle, Pilates, kettlebell, barre, bootcamp and boxing allowing members to customize their experience based on their interests and fitness level. St. Louis, Mo., April 24, 2018 – S. M. Wilson & Co, has hired Chris Kopp as Project Manager and Michael Mounce as Project Engineer. Kopp will be responsible for handling all administrative functions for a project, including scheduling, holding progress meetings, generating meeting minutes, tracking costs and maintaining logs for all project information. Kopp has a B.S. from the University of Missouri-Columbia and an M.B.A. from University of Missouri – St. Louis. He has 31 years of construction experience. S. M. Wilson’s Habitat for Humanity Saint Louis (HFHSL) project is nearing completion as the construction crew and team of volunteers complete the final phases of the new headquarters and ReStore. The $2.1 million project kicked off in December 2017 when the need arose for a more functional, cost-effective space. Since 2002, the organization’s headquarters and ReStore have been located off Forest Park Avenue. In April 2017, HFHSL sold the property, but remained onsite until purchasing a building in St. Louis’ Dutchtown neighborhood. Located at 3830 South Grand, the new space will house all of HFHSL’s resources and services under one roof, something that was not an option at their previous location. The 51,159 square-foot building was originally an empty grocery store which S. M. Wilson converted into administrative offices, construction warehouse and ReStore. 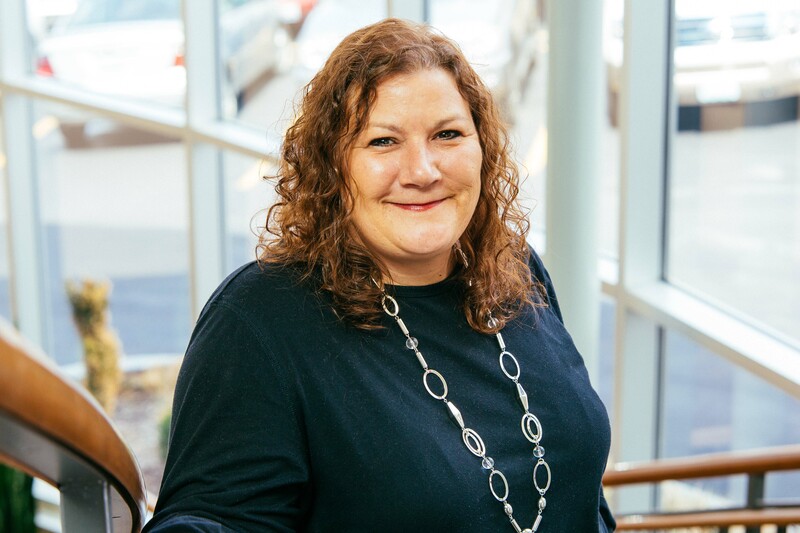 HFHSL CEO, Kimberly McKinney, describes the location as having “huge potential.” The new 10,300 square foot office space will include seven private offices, three conference rooms, a break room and 2,500 square feet of open office space. It will also house a 14,600 square foot warehouse/fabrication shop including truck access and loading dock. The new headquarters will also be home to a 20,600 square foot ReStore with open floor retail space similar to their ReStore in Des Peres. The ReStore is open to the public featuring new and gently used home improvement products and building materials for purchase. In the past two decades, the Habitat for Humanity Saint Louis ReStore has diverted more than 33,000 tons of materials from landfills. The waste diverted could fill 1,953 semi-trucks. The ReStore will host a donation drive starting April 24th in hopes of filling the warehouse’s shelves before the grand opening on May 1. 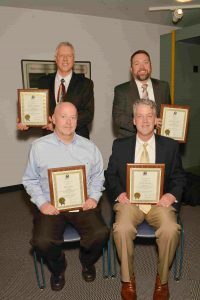 Best practices in the construction industry were recognized by the St. Louis Council of Construction Consumers (SLCCC) during its annual awards on March 5, 2018 at the St. Louis Science Center Planetarium, St. Louis, MO. The annual awards recognize successful use of Construction Industry Best Practices validated by the Construction Industry Institute (CII) to improve project quality, budget and schedule. The Monsanto Building K Waterproofing project was recognized with a Construction Industry Best Practices Award for Constructability by the SLCCC. Restoring the building integrity of an underground structure was the purpose of the waterproofing project for Building K on the Creve Coeur, MO campus of Monsanto. Continued service as a fully functional cafeteria and service to adjacent buildings created the opportunity to use the Constructability Best Practice for successful completion. Joining with Monsanto in receiving the award were the team led by S. M. Wilson with ABS Consulting and Shield Systems. St. Louis, Mo., March 9, 2018 – S. M. Wilson & Co. has been selected by Propper Construction Services to serve as the construction manager of a new multi-family housing development at the corner of Mexico Rd. and St. Peters Center Blvd. in St. Peters, MO. Being a woman in an industry predominantly and historically pursued by men does not have to be the incredible struggle it was decades ago. Fortunately, women have pioneered their way into most construction-related careers. 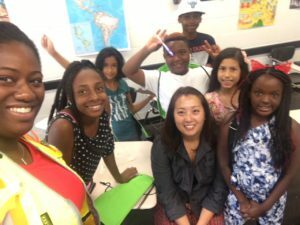 These women, our mentors, entered into classrooms, worked in offices, engaged around conference tables, walked onto project sites and earned leadership positions as the only female in their environment. They broke stereotypes, they forged the path to make ours a bit more navigable. Of course, our journey is not without challenge, but with challenge comes opportunity. With over 25 years of experience, I’ve learned a thing or two about what it takes to be successful in our industry. Construction is an ever-evolving industry where no two days are the same. While every project and jobsite are different, all are driven by deadlines. Practice self-discipline and focus your time on the most important outputs, but also know when to press the off-button. Having a strong work ethic doesn’t mean working around the clock. Self-awareness is crucial, know when it’s time to step up or when it’s time to step away. Overall, maintaining a work-life balance will make you more successful at your job. 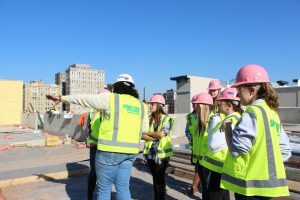 Many females in construction feel apprehensive about supervising or giving direction to their teams. What’s the best way to overcome this? Be actively involved onsite and take part in the bricks and mortar no matter what your position. Prove that you know what you are talking about, but also ask questions and show you are willing to learn from those who may have more experience. Once you start building a relationship of familiarity and trust, working together becomes second nature. Don’t feel obligated to respond right away. Think through your responses and ask questions. Listen and you will find that people love to share their knowledge. In doing so, you will gain more respect from your colleagues because although they may not get an instant answer, they know they are getting the right one. The world of construction goes beyond a hammer and a hard hat. From specific trades to engineering, accounting and marketing, this industry offers an array of opportunities in all aspects of business. Take ownership of your career, don’t be afraid to take on new challenges and always be willing to learn. 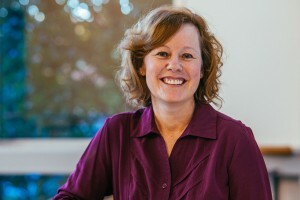 Amy Berg serves as President of S. M. Wilson. She has more than 25 years in the construction industry. 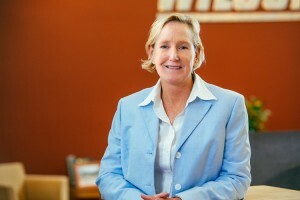 Prior to becoming President of S. M. Wilson, Amy acted as Vice President of Business Development. Amy helped grow S. M. Wilson from $64 million in revenue in 1996, when she joined the firm, to the firm’s current revenue of $250 million. She was instrumental in the development of new business, establishing public relations and marketing strategies, and client retention. 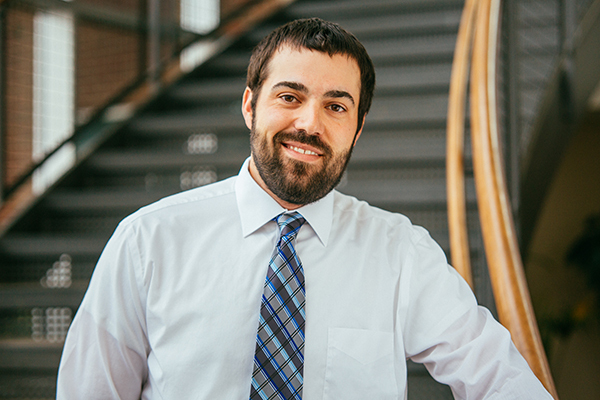 St. Louis, Mo., January 12, 2018 – S. M. Wilson & Co. has promoted Andrew Ahlers, CM-BIM from Project Engineer to Assistant Project Manager. As Assistant Project Manager, Ahlers will work in concert with the Project Managers to ensure projects are completed safely, on time and with approved budgets. This is accomplished by developing and maintaining effective relationships with all parties involved with the project, maintaining and communicating accurate financial details of the project, maintaining accurate documentation of the project, and by providing support and direction for the entire project team. St. Louis, Mo., January 2, 2018 – S. M. Wilson & Co. has promoted Brian Bea, Jack Kinamore and Mike Hanner to Project Directors. All three previously held the position of Senior Project Manager. As Project Directors, Bea, Kinamore and Hanner are responsible for the supervision and overall performance and profitability of multiple project teams, large-scale building programs and the development and continuation of the relationships related to these clients. St. Louis, Mo., December 18, 2017 – S. M. Wilson & Co. has promoted Mark Cochran to Chief Operating Officer (COO). 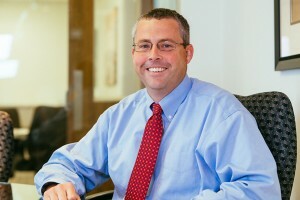 Cochran serves as the firm’s first COO. 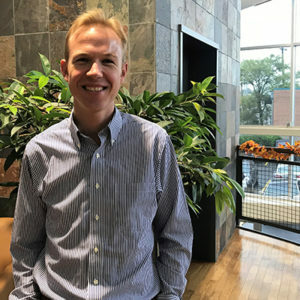 Cochran will be responsible for the leadership of all construction operations related functions and charged with ensuring the achievement of safe, profitable, and quality work in a manner that fulfills the S. M. Wilson Core Purpose, “To build great value, relationships and careers while having fun in the process”. St. Louis, Mo., November 9, 2017 – S. M. Wilson & Co. has hired Steven Meeks, PE as Vice President of Pre-Construction and Estimating. St. Louis, Mo., November 6, 2017– S. M. Wilson & Co. has hired Kristyn Newbern as Business Development Manager. Newbern will be the business development lead for S. M. Wilson’s healthcare and higher education market sectors. She will assist in acquiring new clients, maintaining existing relationships and elevating S. M. Wilson within the community. St. Louis, Mo., October 10, 2017 – S. M. Wilson & Co. has promoted Lisa Green to Assistant Controller. 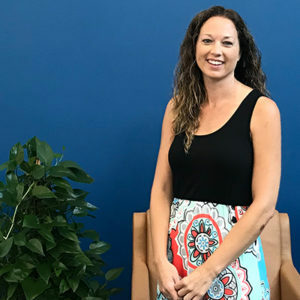 She will be responsible for company payroll, daily bank reconciliations, tax filings and implementing new company software for accounting and human resources purposes. Green joined S. M. Wilson in 2007 as Payroll Manager. S. M. Wilson Builds a Playhouse to Support Mercy Health Foundation! Each year, the Mercy Health Foundation hosts a benefit for Mercy Kids which is a vital resource for children and their families offering compassionate medical care for every child, every need, every day. 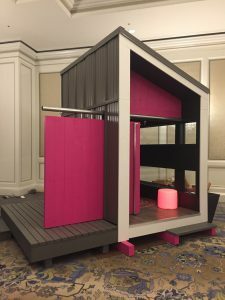 Bates Architects asked to partner with S. M. Wilson to design and build an epic playhouse to be featured and auctioned off along with other playhouses built by local AEC partners at this year’s Mercy Kids benefit. Eager to participate and support the Mercy Health Foundation, S. M. Wilson jumped at the opportunity…and the results are memorable! The modern barn-style playhouse features a sliding barn door, a removable roof structure with a cargo net loft, an exterior planter box that will catch rainwater runoff from the roof, interior surfaces of chalkboard paint and magnetic panels, and bonus areas such as a deck and activity table for added fun! Watch an animation of the playhouse here…provided by Bates Architects. St. Louis, Mo., August 29, 2017– S. M. Wilson & Co. has hired Eva Chapin as Assistant Project Manager, Richard Young as a Project Superintendent and Lindsey Roellig as Project Assistant/Job Accountant. Chapin will be responsible for all administrative functions during construction of a project, including scheduling, holding progress meetings, generating meeting minutes, tracking costs, and maintaining logs for all project information including transmittals, submittals, and RFIs. She holds a B.S. from Northern Illinois University – DeKab and has 11 years of industry experience. She is ASHE Certified and has U.S. Army Corps of Engineers Construction Quality Management Certification. 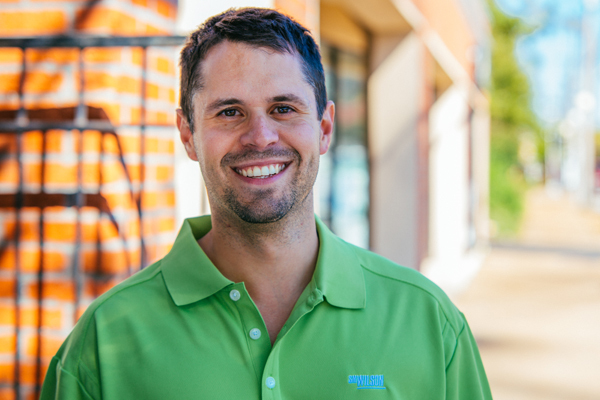 Young will be responsible for the day-to-day site management of a project including scheduling, quality and safety. This is his second employment stint with S. M. Wilson. He has 25 years of construction experience and is OSHA 30 certified. 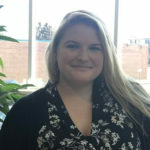 Roellig is S. M. Wilson’s new Project Assistant/Job Accountant. 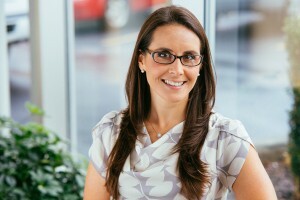 She holds an Associate’s Degree in Paralegal Studies and has 10 years of industry experience. Providing a conducive healing environment and high-quality patient care are top-of-mind for healthcare providers and their contractors when undertaking construction projects in occupied spaces. Minimizing disruptions to day-to-day operations is essential for patients, visitors and medical staff impacted by the noise and general inconvenience of construction. There are five key factors to maintaining operational integrity during most construction projects. Use these factors to help diagnose the potential problems and plan for solutions prior to beginning work on your next project. How will patient movement (inpatient and outpatient) be affected? Healthcare renovations or additions often interfere with egress and flow to the facility. Parking and registration are often affected, and access from outside entrances to waiting rooms, admitting, elevators, imaging, laboratories, patient rooms, ED and other areas of the building during construction can be adversely impacted. SOLUTION: Careful planning and phasing must be made to facilitate easy patient transport throughout the facility to maintain the quality of care. Using building information modeling, 3D “snapshots” can be created of each phase of the project digitally depicting egress and movement. This allows staff to view the potential impacts of construction and provide input prior to disruption. Is infection control an issue? Infection control is vital in a healthcare environment. Construction often produces a lot of dust and debris. SOLUTION: Proper airflow management reduces the risk of exposure. This can be achieved by careful placement of proper negative airflow devices, partitions to separate construction areas from the rest of the hospital, and the use of surgical booties worn over construction workers’ boots when entering hospital spaces. To make certain proper infection control is maintained, dust and debris must be minimized. Dust partitions, HEPA filters, and sealed containers for debris removal are usually necessary to control the unwanted migration of these contaminants. Only qualified and experienced builders understand all of the steps needed to maintain infection control throughout all phases of a project. Infection control also involves vaccinations for construction staff, an often overlooked item on the pre-construction planning checklist. Properly immunizing workers before construction can prevent many of the most com­mon diseases from spreading. This not only protects the patient and staff, it also prevents construction workers from contracting illnesses, resulting in more on-the-job time, which leads to faster project completion. Will construction noise interfere with the patient experience? Construction noise can intrude on patient care and affect HCAHPS scores. Special procedures and equipment need to be put in place prior to construction to minimize audio intrusion. SOLUTION: By coordinating construction activities and installing proper noise abatement procedures, audio intrusion into patient areas can be reduced or eliminated. Noise mitigation can include erecting sound absorbing partitions, using special tools that emit less sound and scheduling nosier activities around the hospital’s schedule. Will med-gas, nurse call, fiber, electric, HVAC, water and fire protection tie-in affect our existing systems? If new systems need to tie into the existing systems, they should be carefully planned and coordinated with facility personnel. SOLUTION Proper planning ahead of time can prepare the technology staff for seamless transition and uninterrupted service of critical data and telephonic connectivity. To be effective, a construction team needs to coordinate with the facility staff and the information technology department. All shut downs should be scheduled months in advance with documented and written procedures. What temporary evacuation procedures need to be put in place prior to construction? Safety is a major consideration in a construction project—not just for the construction workers but also for patients, visitors and medical staff. During construction, many of the hospital’s normal emergency evacuation routes may be disrupted or moved, so alternative routes need to be in place for possible emergencies. SOLUTION: Mapping out a series of new evacuation plans for each phase of the project and educating the facility staff of these plans can assure patient and staff safety in the case of an emergency. If any of the above is a consideration for your project, you should consult a healthcare construction expert to help you plan for a safe, productive and efficient jobsite. 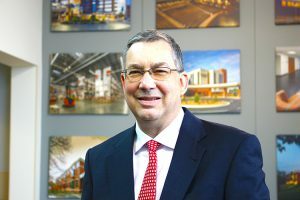 Bill Wagner is Vice President – Healthcare for S. M. Wilson & Co. Bill has been involved in $1.5 billion of healthcare construction during his 37 years in the construction industry and has worked on a variety of healthcare and senior care projects. I’m pleased to announce that we’ve set a date for the public unveiling of the completely renovated Early Childhood Center in the Maplewood Richmond Heights School District. Some of the most challenging aspects of constructing healthcare facilities are hidden from public view. Housed above ceilings, behind walls and within central utility plants is a complex array of utilities and other infrastructure systems that are vital to the efficient operation of a facility. Patients, physicians and medical staff rely on these core systems every day, yet they probably don’t give them a second thought—if they’re even aware of them at all. But our construction teams think about them constantly. That’s because a hospital’s infrastructure is fundamental to the delivery of care and the continuous operation of a facility. This infrastructure ranges from extensive ductwork and piping systems to a robust electrical system that provides redundancy to support emergency power requirements. It operates everything from nurse call systems, to low-voltage fire alarms that interlock with the security system, to sprinkler systems. And today’s patient rooms, ORs and imaging rooms rely on considerable power, gases and data to support advanced equipment and technology, including robotics and other innovations. Building information modeling (BIM) plays a key role in constructing healthcare infrastructure. As construction manager, we have the opportunity to work alongside specialty contractors to ensure that all the details within the model are well coordinated before construction even begins. We also make sure that all equipment is accessible so the facilities staff can conduct ongoing maintenance after the space is occupied. For hospital expansion projects, we have the additional challenge of maintaining the existing facility’s continuous operation with minimal disruption. Pre-planning is essential to ensure the schedule is precisely coordinated to sustain the continuum of care for patients and maintain optimal safety throughout the project. Pre-planning can include flow, maintaining all essential life/safety systems, shut-down and system tie-ins. Sometimes, prefabrication of components is an efficient solution, particularly within constrained spaces and sites. When parts are fabricated in a controlled machine-shop environment, they can be installed more quickly, safely and cost effectively than traditional construction. 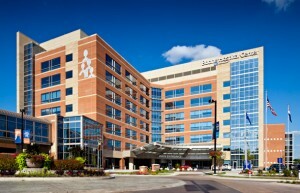 Our S. M. Wilson team has extensive experience in constructing and relocating healthcare infrastructure. We’ve completed $1.5 billion in healthcare projects on more than 30 campuses throughout the U.S. The new 11-story BJC Institute of Health at Washington University School of Medicine in St. Louis involved extensive MEP relocations and connections to campus services on the state’s largest and most active medical campus. The project required precise scheduling of utility outages and cutovers, including electrical and emergency power, medical gases, steam, and heated and chilled water systems. The most complex cutover—the bulk oxygen main—required four months of planning. while ensuring these deep excavations were safe for hospital workers and visitors. At Community Hospital South in Indianapolis, we constructed a five-story patient tower addition in 12 sequential phases. The installation of a new tap and key for water main service required the implementation of a bypass loop to maintain operations of the existing hospital’s water service. The project included the rerouting and replacement of all steam pipe, storm, sanitary and chiller lines as well as medical gas and vacuum lines. These projects illustrate the meticulous planning and expertise required to construct critical infrastructure and utility systems to support today’s complex healthcare projects. St. Louis, Mo., July 3, 2017 – S. M. Wilson & Co. has hired Evan Dorks and as a Project Engineer, Galen Richards as a Project Superintendent and Gail Pijut as Project Assistant/Job Accountant. St. Louis, Mo., June 26, 2017 – S. M. Wilson & Co. has been selected by Formation Development Group to serve as the construction manager on two new senior living facilities. 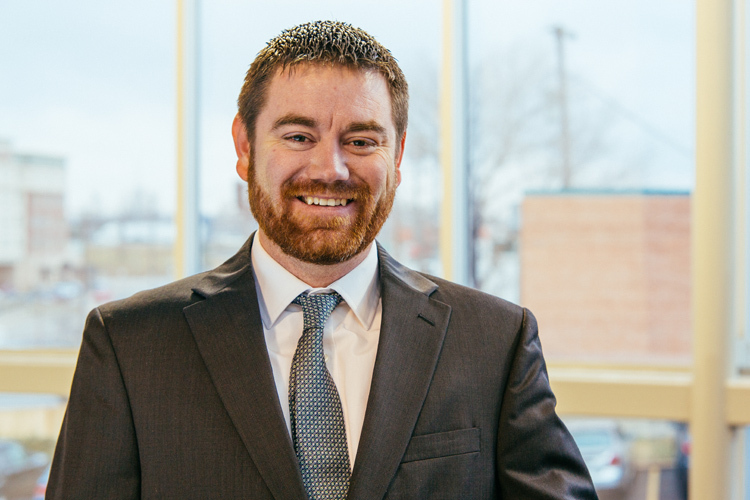 St. Louis, Mo., June 21, 2017 – S. M. Wilson & Co. has promoted Jason Gasawski to Project Manager. 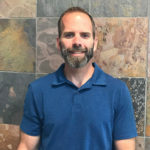 He will be responsible for handling all administrative functions for a project, including scheduling, holding progress meetings, generating meeting minutes, tracking costs and maintaining logs for all project information. St. Louis, Mo., June 5, 2017 – S. M. Wilson & Co, has hired six new employees including Rebecca Cornatzer as Director of Human Resources, Tim Ruck and James Shives as Project Superintendents and Josh Weber, Troy Gittemeier and Jordan Wicklein as Project Engineers. AL MILLER RETIRES FROM S. M. WILSON & CO.
St. Louis, Mo., April 13, 2017 – After 27 years, Al Miller, Director of Human Resources, retired from S. M. Wilson & Co. at the end of March 2017. Al is the grandson of founder Shouse McGarvey Wilson. 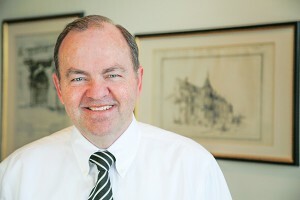 Miller began his career with his family’s firm in the safety department, becoming the firm’s first fulltime Director of Safety in 1990. 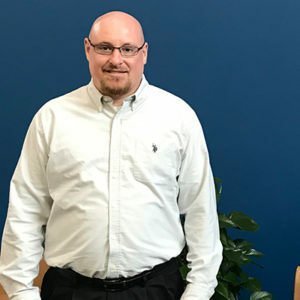 In his role as the Director of Safety, he was able to instate new safety policies and instill a culture of safety throughout the firm. Under Miller’s direction, the firm consistently maintained a below industry EMR average. 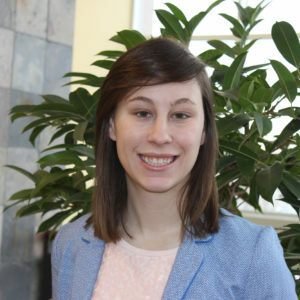 St. Louis, Mo., April 11, 2017 – S. M. Wilson & Co. has hired Rachel Thess as Project Engineer. 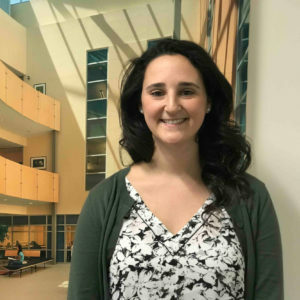 JACKIE TRIPI PROMOTED TO PROJECT ENGINEER AT S. M. WILSON & CO.
S. M. Wilson & Co. has promoted Jackie Tripi to Project Engineer. S. M. Wilson & Co. has hired Marty Yearout as Estimator, Brian Zurosky as Project Superintendent and Amy Shultz as Project Assistant/Job Accountant. St. Louis, Mo., December 23, 2016 – S. M. Wilson & Co. has promoted Sarah Miller to Assistant Estimator. She will be responsible for supporting the company’s estimating team as they develop and submit bids for potential construction projects. 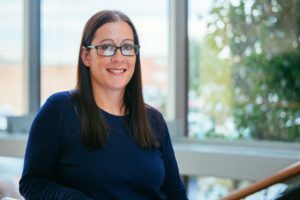 Sarah has worked in the estimating department since joining S. M. Wilson in 2014. 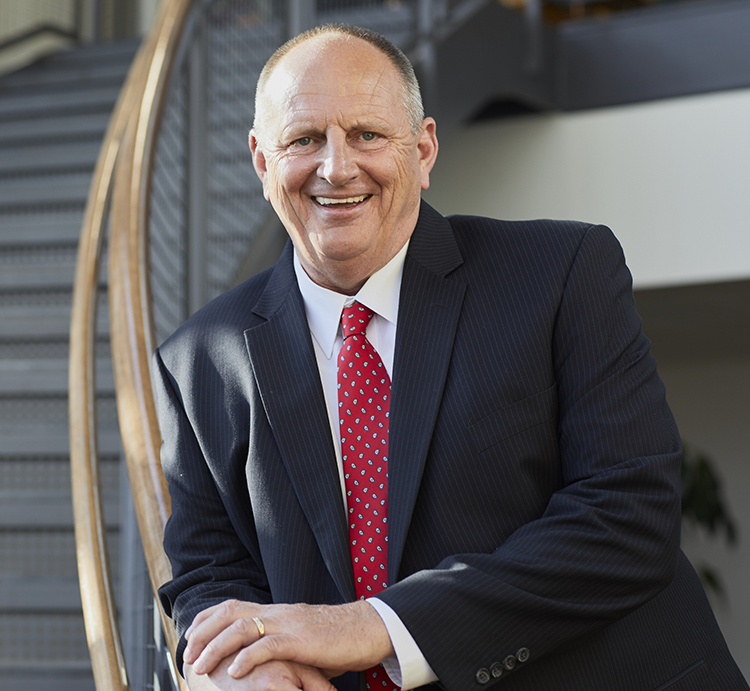 St. Louis, Mo., December 22, 2016 – Steven Mast, Vice President at S. M. Wilson & Co., will retire at the end of 2016 after 23 years with the company and 42 total years in the commercial construction industry. Mast has overseen S. M. Wilson’s retail market sector operations for most of his tenure with the company, and since joining the firm has been involved with more than $1.6 billion of construction projects around the country for well known retailers including Target, Von Maur, Cabela’s, and most recently IKEA. This includes more than $600 million of renovations and new construction at 130 Target Stores across the central region of the United States. St. Louis, Mo., December 14, 2016 – From rescuing stray animals and volunteering in local schools to granting holiday wishes and coaching youth sports, the employees of S. M. Wilson & Co. decided to celebrate the company’s 95th anniversary this year by voluntarily providing more than 95 acts of kindness. The acts enriched the St. Louis community by assisting kids, those in need and those who serve our country. Employees were empowered to provide acts of kindness that they felt were important throughout the year, which resulted in a wide range of activities and support. The program far exceeded its goal. St. Louis, Mo., December 9, 2016 – S. M. Wilson & Co. has broken ground on the Maplewood Richmond Heights School District Early Childhood Center (ECC) renovation and addition. The $7.9 million building program includes construction of a new 90-space parking lot and improvements to the current ECC campus. St. Louis, Mo., December 1, 2016 – Megan Banks has been promoted to Assistant Project Manager at S. M. Wilson & Co. She will be responsible for helping Project Managers organize, schedule, plan, control and deliver construction projects. 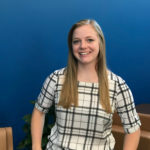 Megan is currently working on the company’s Millikin University construction project and Maplewood Fire Station. St. Louis, MO –The Associated General Contractors (AGC) of Missouri announced the winners of its 2016 construction industry awards at its gala event at the River City Casino & Hotel. The Construction Awards Gala featured the 19th Annual Construction Keystone Awards which highlight the creativity and talents of Missouri’s construction industry. This year also marks the sixth time the AGC of Missouri has named First Place Specialty Contractors in 12 disciplines along with the coveted Specialty Contractor of the Year. St. Louis, Mo., November 2, 2016 – S. M. Wilson & Co. has launched a new theme to emphasize and differentiate its longtime core strengths of value, service, people-centered culture and passion to deliver more than just buildings. Called ‘Beyond the Build™,’ the new program includes the new slogan, refreshed contemporary color schemes, updated website content and new videos, marketing materials and other editorial content. A video announcing the new branding program can be found at https://www.youtube.com/watch?v=vXFUcG-QKR4. St. Louis, Mo., October 3, 2016 – S. M. Wilson & Co. has completed construction of a $12 million expansion to its assisted living community and a new REACH short stay rehabilitation center at Lutheran Hillside Village in Peoria. The three-story, 38,000 square foot addition includes 24 new assisted living apartments and 24 short stay rehabilitation private rooms. St. Louis, Mo., September 12, 2016 – The City of Maplewood, Missouri has selected S. M. Wilson & Co. to build a new $6 million fire station headquarters to house the City’s fire department. The 18,897 square foot facility is being built on City property just west of Maplewood City Hall and will replace the current fire station, which is more than 50 years old. 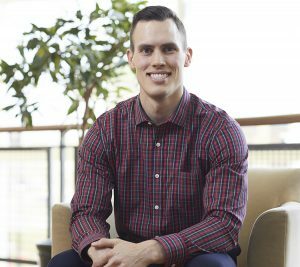 St. Louis, Mo., August 16, 2016 – S. M. Wilson & Co, has promoted Brian Mee to Project Manager. He will be responsible for handling all administrative functions for a project, including scheduling, holding progress meetings, generating meeting minutes, tracking costs and maintaining logs for all project information. ST. LOUIS – The Sheldon is pleased to announce that S. M. Wilson & Co. has been chosen as the general contractor for the creation of a pedestrian walkway, plaza and renovated parking lot on the west side of Sheldon facilities. 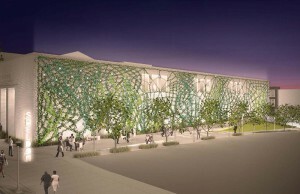 Construction is expected to begin in late July and to be completed in November. Time lapse video of the construction of Chaminade College Preparatory School’s Viragh Center for the Arts building. Here is Katie’s story and how she inspired S. M. Wilson’s timely construction of the Shriners Hospitals for Children in St. Louis, MO. 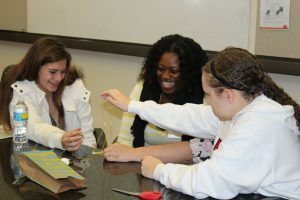 S. M. Wilson was a proud sponsor and participant in the S. E. E. Week (Summer Engineering Experience) at Cor Jesu Academy. On Monday, June 6, project team members lead students through an interactive and fun day. Students learned about the S. M. Wilson project currently being built on their campus through job estimating and scheduling challenges. 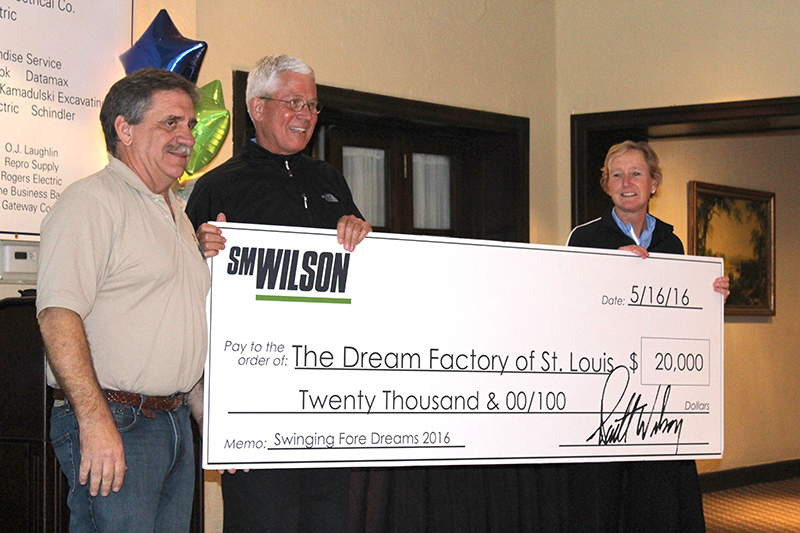 St. Louis, Mo., June 20, 2016 – The 10th Annual Swinging Fore Dreams Golf Tournament sponsored by S. M. Wilson & Co. raised $20,000 for The Dream Factory of St. Louis on May 16, 2016 at Glen Echo Country Club. 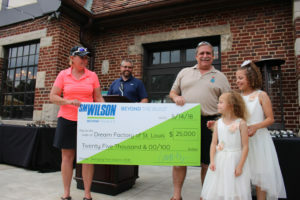 More than 50 construction-related companies and organizations supported the event, which helps children with critical and chronic illnesses to realize their dreams. St. Louis, Mo., June 8, 2016 – S. M. Wilson & Co, has promoted Vernon Pfeil to Senior Project Manager and named Robert Dulaney as Project Manager. St. Louis, Mo., March 21, 2016 – S. M. Wilson & Co. has promoted Corey Noder to Senior Project Manager and Jordan Sanders to Assistant Project Manager. 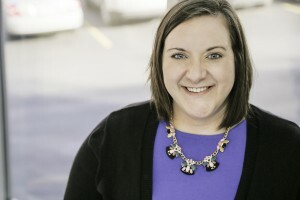 St. Louis, Mo., March 14, 2016 – Lauren Williams, BIM Manager at S. M. Wilson & Co., has received the 2016 Alumni Leadership Award from the Construction Leadership Institute at Southern Illinois University – Edwardsville (SIUE). 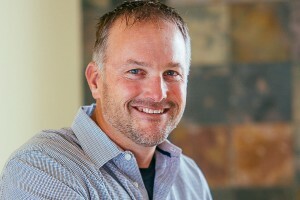 The award recognizes an outstanding graduate of the Construction Leadership Institute program and honors the individual’s exceptional contributions to the building community through their leadership, character and hard work. St. Louis, Mo., March 9, 2016 – Tim Doran has been promoted to Project Manager at S. M. Wilson & Co. 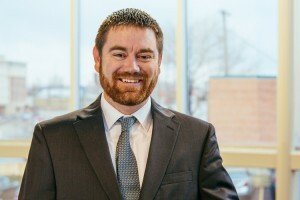 He will be responsible for handling all administrative functions for a project, including scheduling, holding progress meetings, generating meeting minutes, tracking costs and maintaining logs for all project information. 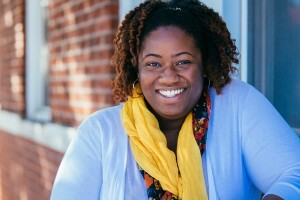 St. Louis, Mo., March 3, 2016 – Megan Banks, a Project Engineer at S. M. Wilson & Co., was one of 20 African-American professionals under the age of 40 to be honored at the St. Louis American Foundation’s 6th Annual Salute to Young Leaders on February 25. Megan was recognized for her excellence in work and in her commitment to community building through service to others. 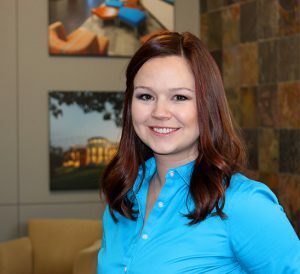 LIZ PEROUTKA PROMOTED TO PROJECT ENGINEER AT S. M. WILSON & CO.
St. Louis, Mo., February 17, 2016 – Engineering News-Record Midwest has named Lauren Williams, CM-BIM and Building Information Modeling (BIM) Manager at S. M. Wilson & Co., to its Top 20 Under 40 Class of 2016. 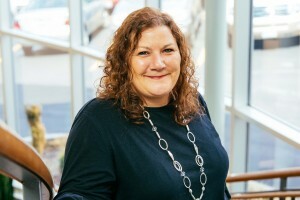 She was recognized for her significant career achievements and meaningful community service from among hundreds of young engineers, architects and construction planners from across the Midwest. 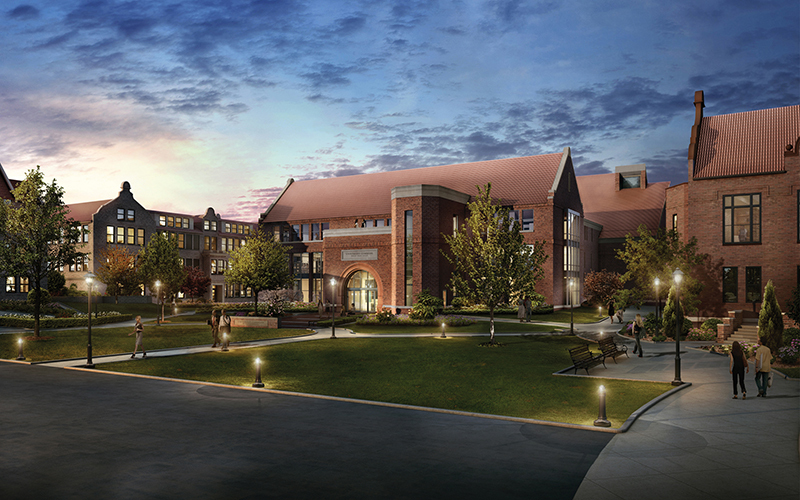 St. Louis, Mo., January 28, 2016 – S. M. Wilson & Co. has been selected to renovate and expand the University Commons at Millikin University in Decatur, Illinois. 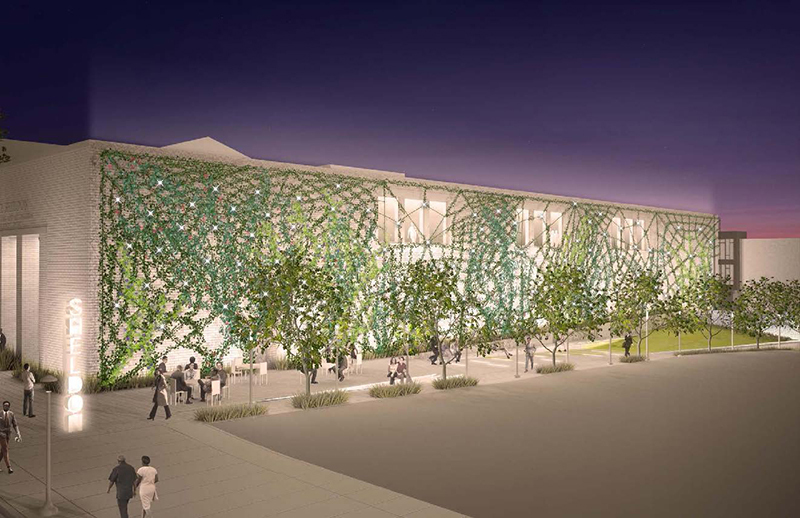 The $31 million, 85,000 square foot project will focus on renovating and reconfiguring the existing Staley Library and building a large addition to the structure. St. Louis, Mo., December 21, 2015 – Joyce Morgan, Diversity Coordinator at S. M. Wilson & Co., was honored as a Private Sector Executive of the Year at MOKAN’s “Embracing DIVERSITY – Excelling Toward Excellence” 41st Awards Anniversary Dinner on November 20, 2015 in St. Louis. The awards recognize minority business owners and Corporate partners who have demonstrated commitment to enhancing the lives of others with a primary focus on expanding capacity building and workforce opportunities throughout the region. MOKAN is a leader in advancing opportunities of growth for minority and female businesses within the St. Louis area. St. Louis, Mo., November 30, 2015 – Fred Jaeckle, Vice President of Pre-Construction and Estimating at S. M. Wilson & Co., will be retiring at the end of the year after 20 years of service to the company and 45 years in the construction industry. 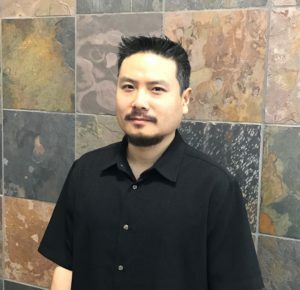 Jaeckle has worked on hundreds of commercial, healthcare, retail, education, senior living and industrial projects during his career with S. M. Wilson worth more than a billion dollars. 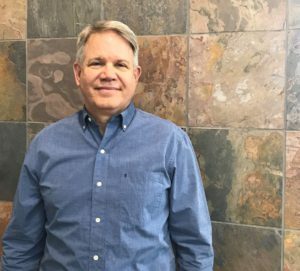 Over his 20 years at S. M. Wilson, Fred has honed the company’s pre-construction and estimating services. 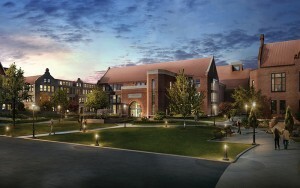 St. Louis, Mo., November 3, 2015 – Stephens College has selected the joint venture of Reinhardt Construction Company and S. M. Wilson & Co. to renovate and build a new addition to Sampson Hall on its campus in Columbia, Missouri. The 22,090 square foot, $5.9 million project will create a home for the school’s new Physician Assistant program. 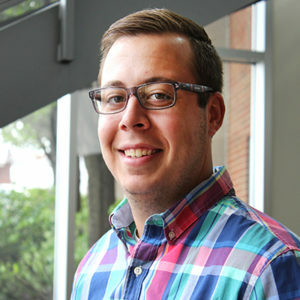 BRAD HOMES PROMOTED TO ASSISTANT PROJECT MANAGER AT S. M. WILSON & CO. The Maplewood Richmond Heights Early Childhood Center recently opened their Farm Friends and Seed to Table education program to a group of young children of S. M. Wilson employees for an afternoon of hands-on learning. The kids spent the afternoon meeting and feeding the center’s chickens and miniature donkeys and touring the site’s vegetable gardens, orchards and small prairie to learn where our food comes from and the role of plants and animals. The kids even made their own snack of salad and dressing with items they picked and prepared from the garden. The afternoon ‘at the farm’ for S. M. Wilson kids was made possible through the company’s ongoing sponsorship of the Farm Friends program at the Early Childhood Center (ECC). The Farm Friends program creates an interactive student-learning center for animal health and care, symbiotic relationships with humans, nutrition and more. During the school year, animals are rotated into the lesson plan for a week at a time. Each week, for seven weeks total, students meet a new pair of adopted animals – ranging from donkeys, pigs and ducks – and learn something new about each species. The Farm Friends program began in May 2011 as an extension of the District’s renowned Seed to Table program, which utilizes a garden located at the ECC to teach students in preschool through first grade about parts of plants, life cycles, symbiotic relationships and, most importantly, nutrition. Throughout the year, teachers use the program and facility as an integral tool to help students understand where food comes from and how plants and animals are used to make many things in our everyday lives. For example, the small prairie on the site enables students to roll and rake hay and then transport it to the barn to feed the animals. They learn the difference between hay and straw and how both are important to the needs of animals (hay is dried grass and is what the animals eat, straw is for animal bedding). St. Louis, Mo., June 16, 2015 – Nichole Geiger and Chad Kolmer have joined S. M. Wilson & Co. as Project Engineers. St. Louis, Mo., May 29, 2015 – S. M. Wilson & Co. has promoted Judd Presley to Vice President of Business Development. 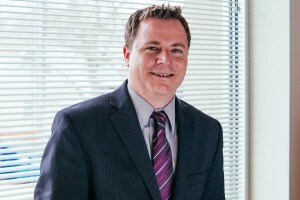 He will be responsible for driving S. M. Wilson’s continued growth in the Midwest and nationally by identifying and developing strategic new business initiatives and growing existing client business relationships. Presley will also continue to oversee S. M. Wilson’s Federal and Military (MILCON) capture programs. St. Louis, Mo., May 18, 2015 – S. M. Wilson & Co. has expanded its senior management team by promoting Brian Bea, Jack Kinamore and Mike Hanner to Senior Project Manager. What do you know about the Construction Management Agency (CMa) delivery method? S. M. Wilson & Co. has been selected to build Phase 1 of a three-phase Master Plan project for Covenant Place independent senior living center on the Jewish Community’s Millstone Campus in St. Louis County, Missouri. Phase 1 will consist of the construction of a 92,000 square-foot facility with 101 independent living units featuring full kitchens, living rooms, bathrooms and bedrooms. The building will contain a grand main lobby, seating rooms, community rooms and several laundry areas. 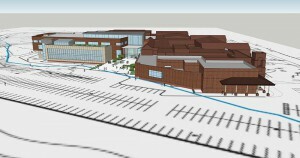 Situated on 3.3 acres, the project will also include a covered walkway connected to existing buildings on the campus, as well as outdoor seating areas. 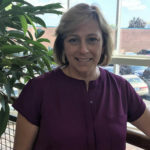 Debra Sheahan has been promoted to Director of Estimating at S. M. Wilson & Co. She will be responsible for overseeing all of the company’s estimating activities, including the conceptualizing and assembling of cost estimates for projects, management of department staff, preconstruction coordination and bid room control and functionality.